Community organizers are bringing the soap box derby back again to Elk Grove, prompting road closures on westbound Elk Grove Boulevard on April 12 and 13. The two-day, family-oriented event features amateur racing heats with soap box racers ages 7-18 and their parent pit crews. The races revive a tradition that was popular in Elk Grove in the 1970s. To accommodate the event, road closures are required on westbound Elk Grove Boulevard between Franklin Boulevard and Four Winds Drive from 7 a.m. to 6 p.m. on both Saturday and Sunday. Detours and traffic controls will be in effect, and the Elk Grove Police Department will provide traffic control oversight. Message boards and detour signage will be posted prior to the closure. 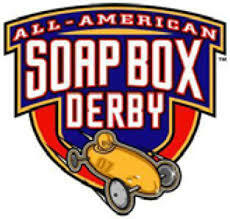 For more information about the soap box derby, visit www.svsbd.com or call John Lobertini at 205-7491 or Rod Brewer at 208-8841. For more information about the road closures, call the City of Elk Grove Public Works Department at 687-3005. Great, so let me understand this. A few parents want to relive their yout through their kids and a major street in Elk Grove is going to be closed for use and we are using city resources for this? What was wrong with the location they used last time? It did not require a full road closure and it was not a major road. We had the "Fittest of Elk Grove" competition that was closely tied to one City Council member. I wonder if this event is closely tied to someone with the City (I thought I heard it was last time). Shutting down a major street for two days does not make sense. There are only two east west streets in Elk Grove and one of them will be closed all day on Saturday and Sunday. Who is paying for the extra police and other city services? The road was still closed at 6:20 pm. Who was in charge of making sure the roads would be re-opened in time? There were only 20 cars +/-. Was it worth closing off one of only two east west arterials for such a small event? Since I live near this location, I can comment on this. I agree, there were at most 20 cars there (all were parked in what appeared to be a participant area). They didn't really try and get people out and even if they did, there would have been nowhere that people could have safely parked. This was more of a private event. In promos, they also claimed that Elk Grove had Soap Box Derby events in the 70's - where? Every hill in town is (to the best of my recollection) an overpass that didn't exist in the 70's. I'm not saying that this would necessarily be a bad thing for Elk Grove. However, it seems to be run as more of a private event where they don't really care if people in Elk Grove care about it. The decision to close off a major street with no access to parking for spectators was very short-sighted. This was the signature event for CCSD Board Diector Rod Brewer. He is the one that worked with the City to close Elk Grove Blvd. He has been telling everyone that this will bring contestants from all over the Western US to Elk Grove. Steve B, do you mean there were 20 cars, as in soapbox cars, or 20 vehicles for the participants? Either way it seems paltry if it was supposed to attract competitors from throughout the western states. Sounds like Brewer got some advise from Davis as he eyes Coopers seat, should he win in June and November. But hey, the money for this event ain't coming out of the politicians pockets! Thanks all - there were 20 cars present but there was apparently another parking lot. On another site (Elk Grove Online), the organizer came on. It sounds like he did his part in putting together the event and thought he was working with the right people in Elk Grove. This is the type of event we look to draw to Elk Grove. For some reason, nobody at the City felt the need to publicize it (except for the street closure aspect). It sounds like they might come back and despite my previous criticisms, I hope they do. With any luck, the City will be more on the ball in publicizing this event. When this was discussed several months ago at council, a man whom I do not know and cannot remember his name, gave a detailed history of the soap box derby in EG. He stated in the 70's they actually used Waterman Road at EG Blvd and they built a ramp that allowed the soap box cars to pick up speed and head down Waterman northbound. Also, he said the last time they held this event, they used the just finished Grantline Road overcrossing and they were going to close one side for the event, leaving the other side for two-way vehicle traffic. Not sure why they did not purse that this year.